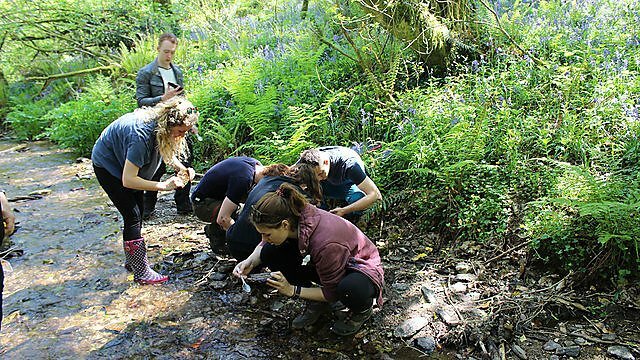 We run two field courses for BSc (Hons) Biological Sciences students. 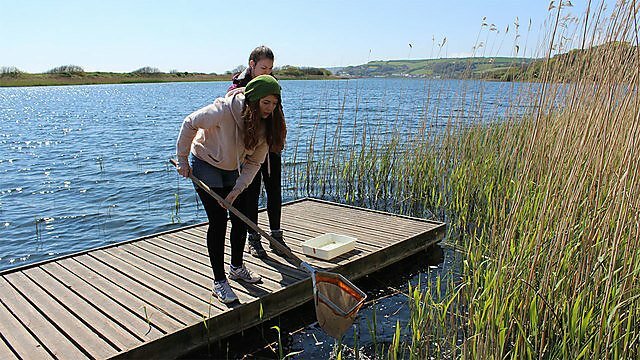 As a part of the first year of our BSc Biological Sciences course we will take you to the beautiful FSC (Field Studies Council) field centre at Slapton Ley, close to Dartmouth, a short bus journey from Plymouth. The field course takes place around Easter, towards the end of your first year. Why do we go there? 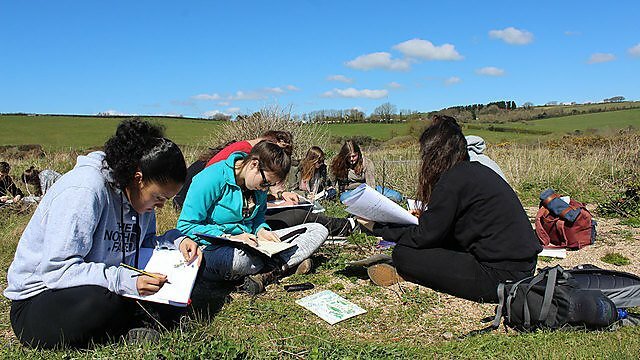 The field centre has been in place since the 1960s and is surrounded by some excellent habitats that you will be able to explore including ancient woodlands, Slapton Sands and the reedbeds and lake of Slapton Ley. As an FSC centre, thousands of students from school children to university graduates visit the site every year and it is geared up for studying the surrounding biology and geography. This depends year on year due to availability of field sites, weather and the particular academics that accompany the trip and their specialist interests. We try to mix the consolidation of theory with the learning of skills to study biology in the field and lab. In particular, you will focus on key field skills like identification, keeping notebooks, designing experiments and surveying techniques. Food: Excellent ethically sourced breakfast and dinner provided by the field centre. Provisions for making a packed lunch also provided. Vegetarian and vegan options always available. 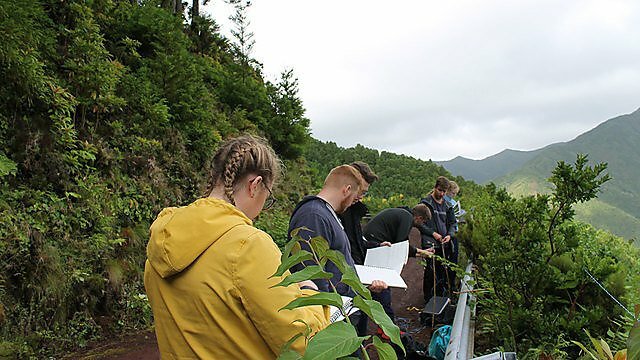 As a part of the second year of our BSc Biological Sciences course we will take you to follow in the footsteps of Darwin in the magical archipelago of the Azores. The Azores have been described as the “Galapagos of Europe” and share many geological and biological characteristics with their Pacific counterparts and form part of Macronesia. 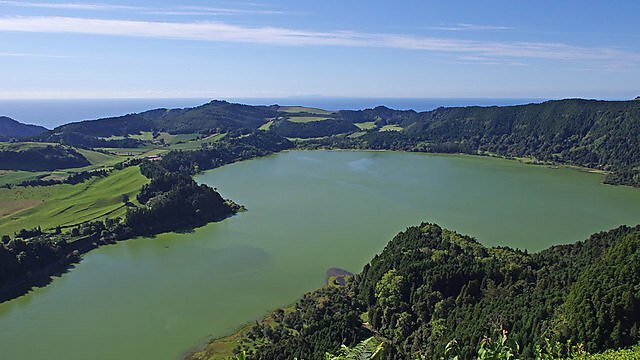 Our field course is based on the main island of São Miguel which mixes modern European culture with traditional practices and plenty of exceptional biology. 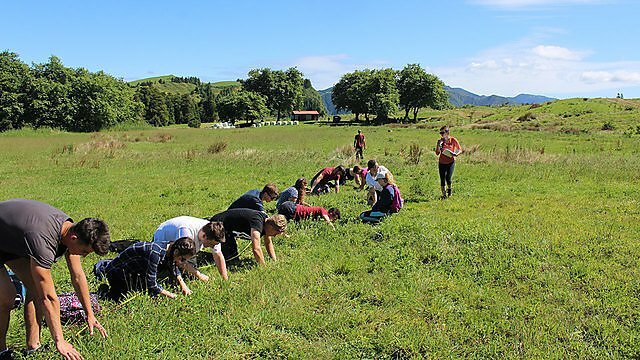 The field course takes place in late summer, just before the beginning of the second year. Isolated oceanic volcanic islands have fascinated biologists as “laboratories of evolution” for many years. 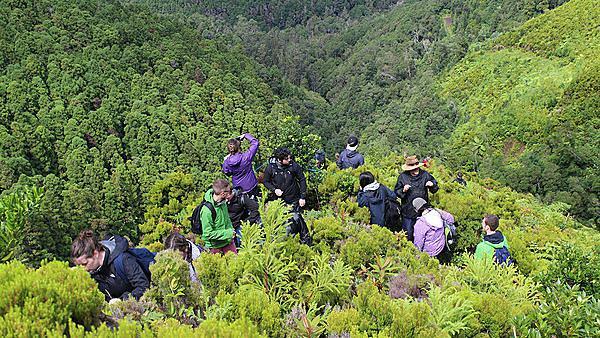 The Azores provides us with an excellent opportunity to consolidate your theoretical knowledge from the first year with field observations, experiments and surveys related to evolution. In addition, they offer a classic island flora and fauna with many endemic species that suffers from various anthropogenic pressures such as invasive species and pollution. Being volcanic in nature, they also provide a number of novel habitats that we can study including crater lakes and hot springs. All of these things are not available in the UK and mainland Europe thus the Azores give you an almost unique opportunity to study biology. This depends year on year due to availability of field sites, weather and the particular academics that accompany the trip and their specialist interests. We try to mix the consolidation of theory with the learning of skills to study biology in the field and lab. Below are a few examples of exercises that you might do. Due to a very fruitful collaboration with the Universidade dos Açores, you are able to use their lab space such that you can analyse samples collected in the field. In addition to the formal exercises, you will also visit a number of interesting sites such as a tea plantation, the botanic gardens and numerous beautiful habitats. Food: Dinner provided in university refectory, for breakfast and lunch there are a number of opportunities to visit a local supermarket to buy provisions to make packed lunches and breakfast.